On Friday, Feb. 2, at 11 a.m., the Pekin Public Library will present the second video in its Illinois Bicentennial Series in the Community Room. The video that will be shown is “Tazewell County Memories 1932-1970,” presented by Tom Finson. It includes vintage film footage from around the county, including Pekin. Admission is free and the public is invited. To understand why La Ville de Maillet was destroyed by an American militia and its inhabitants – who were all American citizens mostly of French ethnicity – were forcibly carried from their land, one would need to learn about the formation and early history of the Illinois Territory. We will begin to look at those crucial events of our state’s “prehistory” next time, and instead turn our attention to the immediate aftermath of La Ville de Maillet’s destruction. As we commented before, the end of La Ville de Maillet was not the end of early French settlement in our area, for several of the French former inhabitants of La Ville de Maillet returned to Peoria Lake after the war. There, at a spot near the Illinois River in what was to become Tazewell County, in the area where Fort Crevecoeur had briefly existed, they maintained a trading post and a small settlement – located about three miles south of where the Cedar Street Bridge is today. Whenever Opa Post was established, it was certainly already in existence before Illinois became a state in 1818. Consequently, despite Chapman’s absurd (to us) assertion that, “These French traders cannot be classed as settlers,” there can be no question that Opa Post holds the historic title of being the first permanent European (“white”) settlement in what was soon to become Tazewell County. The French trading post dwellings and nearby burying ground were the seed from which Wesley City (today Creve Coeur) would later grow. The French trader “Besau” was Louis Buisson, a former inhabitant of La Ville de Maillet, while “Tromly” was Buisson’s brother-in-law and colleague Toussant or Trousoint Tremblay, whose wife Archange Ouilmette was a daughter of Francois Shobonnier, a Pottawatomi chief. The trading post carried on a prosperous business with the Native Americans and the early pioneers of Tazewell County until Pekin and Peoria established themselves, after which the old fur trade dwindled away. The main log dwelling at the post was the home over the years to several Frenchmen and their families, some of whom, as Chapman said, took Native American wives (Buisson’s wife also was a Pottawatomi, a sister of Archange). After the State of Illinois expelled all the Indians after the 1832 Black Hawk War, some of these intermarried French-Indian families left Tazewell County and accompanied their Native American kin to reservations in Kansas. As we saw in this column last time, the vast Illinois Country – encompassing far more than the land of the future state of Illinois – passed from British to American control as a result of Lt. Col. George Rogers Clark’s Illinois Campaign of 1778-1779. But Clark, as a patriotic citizen of Virginia, didn’t seize the Illinois Country simply to increase the size of the nascent United States of America. As a Virginian, Clark achieved his conquests on behalf of his native state – he had this vast territory organized as “Illinois County,” a part of the Commonwealth of Virginia. Virginia Gov. 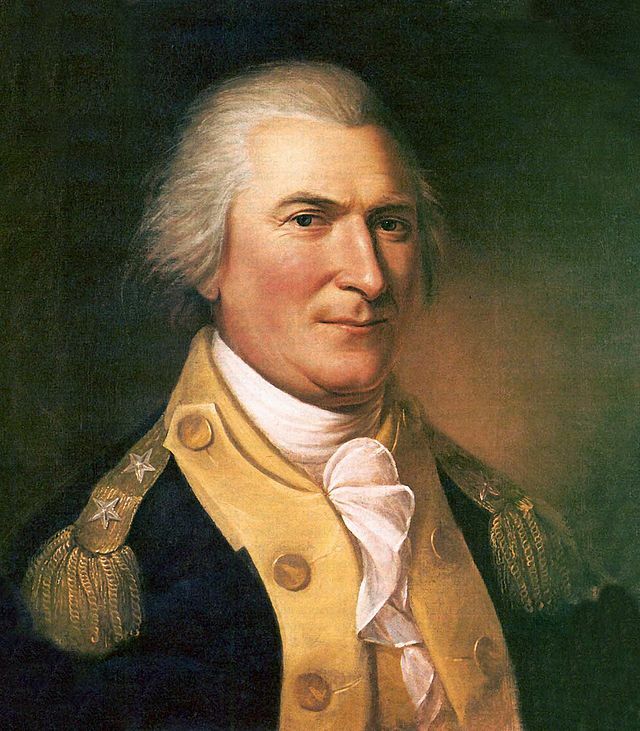 Patrick Henry – of “Give me liberty or give me death” fame – appointed Col. John Todd as the military commandant and first county administrator, governing from the county seat at Kaskaskia (future first capital of the state of Illinois). 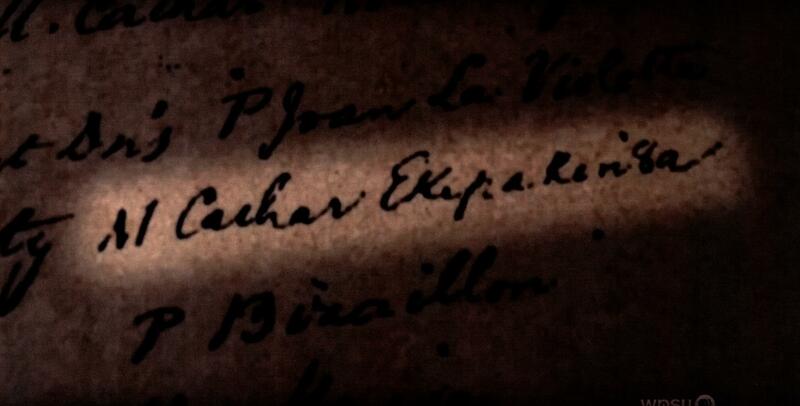 As a reward for the help they gave Clark during his campaign, Virginia granted full citizenship to the French Canadiens and Indians of Kaskaskia and Vincennes (in the future state of Indiana). While Clark’s exploit effectively neutralized the threat of Britain opening a western front against the United States during the Revolutionary War, nevertheless the leaders of the other 12 states – who also harbored hopes and ambitions to expand their states westward – resented Virginia’s land-grab. So it was that in 1784 Virginia’s leaders were persuaded to cede Illinois County to the government of the U.S., which was then organized and loosely linked under the Articles of Confederation, which was the constitution of the U.S. prior to 1789. Virginia’s Illinois County thus ceased to exist after a mere six years. Not only Virginia but every state gave up their expansionist dreams and agreed to allow the Congress of the confederated states to determine what was to be done with the newly acquired lands between the Appalachians and the Mississippi River. Congress made that determination for the area north of the Ohio River on July 13, 1787, when the Congress of the U.S. Confederation passed the Northwest Ordinance, erecting the Northwest Territory, a vast area encompassing the future states of Ohio, Michigan, Indiana, Illinois, Wisconsin, and part of Minnesota. The Northwest Ordinance – the one lasting achievement of the Confederation Congress – set up a process to enable parts of the Northwest Territory to be formed into smaller territories that could then later become new states of the union. The new territory’s first governor, appointed in 1788, was Arthur St. Clair (1737-1818), who had served as President of the Confederation Congress when the Northwest Ordinance was passed. Arthur St. Clair was President of the Confederation Congress of the United States and was appointed first governor of the Northwest Territory, which encompassed the lands that became the states of Ohio, Indiana, Michigan, Illinois, Wisconsin, and Minnesota. The Northwest Territory was made up of land that the British king had set aside as the Indian Reserve – a region for Native Americans forbidden to American colonists of European descent. Despite the king’s proclamation, however, settlement in the Indian Reserve still went on. When the United States secured their independence in 1783, Britain ceded all of that territory west to the Mississippi to the new nation, and the movement of land-hungry settlers soon increased, inexorably dispossessing the native peoples. Nevertheless, Britain continued to maintain forts in the Northwest Territory. With British help the Indians of the Ohio and Illinois countries valiantly resisted American control of the Northwest Territory during a 10-year conflict known as the Northwest Indian War (1785-1795). In 1785, a group of nine tribes and tribal confederations in the Northwest Territory – including tribes from Illinois – banded together for mutual defense, forming the Western Confederacy. The confederacy included warriors from the Huron, Shawnee, Lenape (Delaware), Miami, Kickapoo, Kaskaskia, Cherokee, the Council of Three Fires (Ojibway, Ottawa, and Pottawatomi), and the Wabash Confederacy (whose members included the Piankeshaw). The Western Confederacy’s objective was to maintain the Ohio River as the boundary between themselves and American settlers. Little Turtle, a chief of the Miami, was one of the main leaders of the Western Confederacy during the Northwest Indian War (1785-1795). As the Northwest Indian War continued, in the fall of 1791 Northwest Territorial Gov. 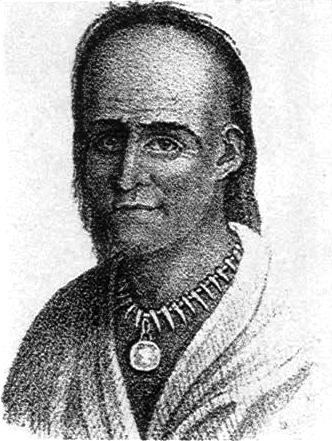 St. Clair mustered a force of 2,000 poorly-trained men for a planned attack on Kekionga, capital of the Miami tribe, located near modern Fort Wayne, Ind., but by the start of November desertion and supply problems had shrunk St. Clair’s forces to about 1,120. On Nov. 3, St. Clair’s army encamped near modern Fort Recovery, Ohio, and the headwaters of the Wabash River. Meanwhile the Western Confederacy’s chiefs – Little Turtle (Mihšihkinaahkwa) of the Miami, Blue Jacket (Weyapiersenwah) of the Shawnee, and Buckongahelas of the Lenape – gathered a force of 1,000 Indians, and on Nov. 4 they led a surprise pre-dawn attack on St. Clair’s camp, inducing a panic in the U.S. Army’s troops that quickly turned into a total rout. When the battle was over, a thousand of St. Clair’s men were dead and only 24 of the survivors were uninjured, while the Western Confederacy lost only 50 warriors – the greatest victory Native Americans would ever achieve against the U.S. Following this setback, the U.S. mustered a new, well-trained army, and the tide of war turned in the U.S.’s favor. The Western Confederacy was decisively defeated at the Battle of Fallen Timbers in August 1794 – and Britain declined to help Blue Jacket’s fleeing warriors. The following year, the native tribes of the Northwest Territory signed the Treaty of Greenville, recognizing U.S. control of the Northwest Territory and giving the U.S. most of Ohio and a part of the Illinois Country (including important sections of land at the future sites of Chicago and Peoria and the confluence of the Illinois and Mississippi rivers). The same year, Britain signed the Jay Treaty, agreeing to give up their forts in the Northwest Territory. With the end of the Northwest Indian War, the Ohio Country was rapidly flooded with new American settlers, and the way was prepared for inevitable expansion into Native American lands in the future states of Indiana, Michigan, Illinois, and Wisconsin. As Ohio’s population soared, the Northwest Territory was divided: on July 4, 1800, only five years after the war’s end, the Indiana Territory was formed, encompassing territory that included the future states of Indiana, Illinois, Wisconsin, part of Minnesota, and half of Michigan. The first territorial governor was future War of 1812 hero and U.S. President William Henry Harrison, who negotiated numerous treaties with the Indians while he was governor. The remainder of the old Northwest Territory, encompassing a part of Michigan, would continue to be known as “the Northwest Territory” for only three more years – in 1803, the state of Ohio was admitted to the Union, and the rest of the Northwest Territory was reassigned to the Indiana Territory. As a part of the Indiana Territory, Illinois was included in three counties – Knox County (made up of Indiana and eastern Illinois), Randolph County (southern Illinois), and St. Clair County (the remainder of Illinois as well as Wisconsin and Minnesota). The Illinois Country was then peopled mainly by Native Americans and relatively small groups of French settlers, but territorial leaders and land speculators were laying the groundwork for further westward expansion. In the period from 1773 to 1819, a series of land purchases and treaties were made with the Illini, Piankeshaws, Kaskaskias, and Kickapoos that extinguished Native American title to most of the lands of future state of Illinois, opening the land to further European-American settlement. The future Tazewell County was included in the lands ceded to the U.S. by an Aug. 13, 1803 treaty with the Kaskaskias and a July 30, 1819 treaty with the Kickapoos (in the year after Illinois became a state). The British had possession of the Illinois Country for a mere 12 years when the unrest began in the Thirteen Colonies that soon would break out into the American War of Independence – the Revolutionary War – which would last for eight years, ending with Britain’s recognition of the independence of the United States of America in 1783. Naturally, most of the action in the war took place within the 13 colonies that had declared themselves to be independent states. In the years 1778 and 1779, however, an officer in the militia of the Commonwealth of Virginia, Lt. Col. George Rogers Clark (1752-1818), led a small and swift military force which executed a daring campaign that wrested control of the Illinois Country from Britain. As we saw previously, Britain’s hold on the sparsely-populated Illinois Country was then still rather tenuous, and neither the Indians nor the French settlers living there nurtured strong ties of loyalty to Britain. Clark himself almost lived long enough to see Illinois statehood, and it is thanks to Clark and his men that Illinois and its neighboring states are parts of the United States of America today. (Clark County in southeastern Illinois, on the Indiana border, established in 1819, is named in honor of George Rogers Clark.) However, it shouldn’t be forgotten that Clark was fighting as much for his home state of Virginia as he was for the newly-minted confederacy of upstart English colonies that were claiming the dignity of sovereign states – states that each had hopes and plans for their own westward expansion in the Indian Reserve. Consequently, when Clark completed the conquest of the Illinois Country, he immediately organized it as a new – and immensely vast – county of the Commonwealth of Virginia: Illinois County, which included not only Illinois but also Ohio, Indiana, Michigan, and Wisconsin, with the county seat at Kaskaskia, an arrangement that, as we shall see next time, was to last a mere five years. “The hero of the achievements by which this beautiful land was snatched as a gem from the British Crown, was George Rogers Clark, of Virginia. He had closely watched the movements of the British throughout the Northwest, and understood their whole plan; he also knew the Indians were not unanimously in accord with the English, and therefore was convinced that if the British could be defeated and expelled from the Northwest, the natives might be easily awed into neutrality. Having convinced himself that the enterprise against the Illinois settlement might easily succeed, he repaired to the capital of Virginia, arriving Nov. 5, 1777. While he was on his way, fortunately, Burgoyne was defeated (Oct. 17), and the spirits of the colonists were thereby greatly encouraged. Patrick Henry was Governor of Virginia, and at once entered heartily into Clark’s plans. After satisfying the Virginia leaders of the feasibility of his project, he received two sets of instructions, — one secret, the other open. The latter authorized him to enlist seven companies to go to Kentucky, and serve three months after their arrival in the West. The secret order authorized him to arm these troops, to procure his powder and lead of General Hand at Pittsburg, and to proceed at once to subjugate the country. “With these instructions Col. Clark repaired to Pittsburg, choosing rather to raise his men west of the mountains, as he well knew all were needed in the colonies in the conflict there. He sent Col. W. B. Smith to Holstein and Captains Helm and Bowman to other localities to enlist men; but none of them succeeded in raising the required number. The settlers in these parts were afraid to leave their own firesides exposed to a vigilant foe, and but few could be induced to join the expedition. With these companies and several private volunteers Clark commenced his descent of the Ohio, which he navigated as far as the falls, where he took possession of and fortified Corn Island, a small island between the present cities of Louisville, Ky., and New Albany, Ind. Here, after having completed his arrangements and announced to the men their real destination, he left a small garrison; and on the 24th of June, during a total eclipse of the sun, which to them augured no good, they floated down the river. His plan was to go by water as far as Fort Massac, and thence march direct to Kaskaskia. Here he intended to surprise the garrison, and after its capture go to Cahokia, then to Vincennes, and lastly to Detroit. Should he fail, he intended to march directly to the Mississippi river and cross it into the Spanish country. Before his start he received good items of information: one, that an alliance had been formed between France and the United States, and the other, that the Indians throughout the Illinois country and the inhabitants at the various frontier posts had been led by the British to believe that the ‘Long Knives,’ or Virginians, were the most fierce, bloodthirsty and cruel savages that ever scalped a foe. With this impression on their minds, Clark saw that proper management would cause them to submit at once from fear, if surprised, and then from gratitude would become friendly, if treated with unexpected lenity. The march to Kaskaskia was made through a hot July sun, they arriving on the evening of the 4th of July, 1778. They captured the fort near the village and soon after the village itself, by surprise, and without the loss of a single man and without killing any of the enemy. After sufficiently working on the fears of the natives, Clark told them they were at perfect liberty to worship as they pleased, and to take whichever side of the great conflict they would; also he would protect them against any barbarity from British or Indian foe. This had the desired effect; and the inhabitants, so unexpectedly and so gratefully surprised by the unlooked-for turn of affairs, at once swore allegiance to the American arms; and when Clark desired to go to Cahokia on the 6th of July, they accompanied him, and through their influence the inhabitants of the place surrendered and gladly placed themselves under his protection. “In the person of M[onsignor] Gibault, priest of Kaskaskia, Clark found a powerful ally and generous friend. Clark saw that, to retain possession of the Northwest and treat successfully with the Indians, he must establish a government for the colonies he had taken. St. Vincent, the post next in importance to Detroit, remained yet to be taken before the Mississippi valley was conquered. 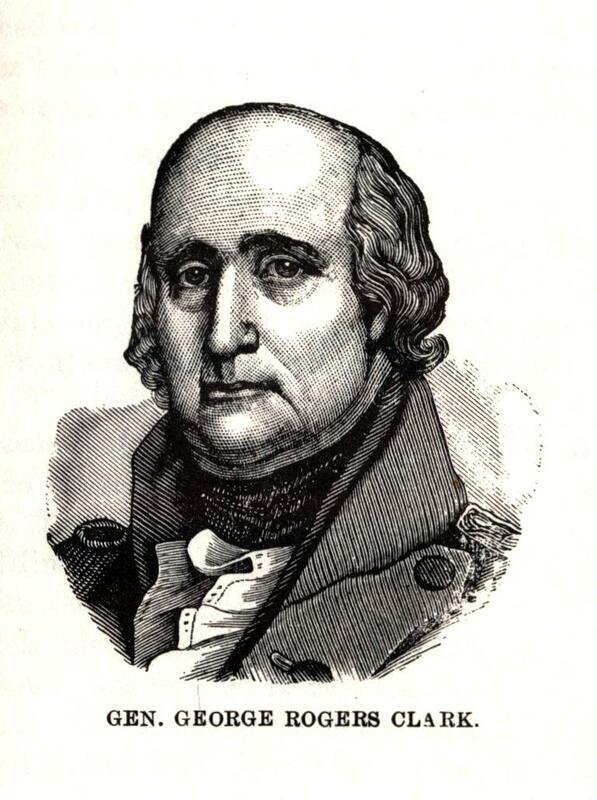 M. Gibault told him that he would alone, by persuasion, lead Vincennes to throw off its connection with England. Clark gladly accepted this offer, and July 14th, in company with a fellow-townsman, Gibault started on his mission of peace. On the 1st of August he returned with the cheerful intelligence that everything was peaceably adjusted at Vincennes in favor of the Americans. During the interval, Col. Clark established his courts, placed garrisons at Kaskaskia and Cahokia, successfully re-enlisted his men, and sent word to have a fort (which proved the germ of Louisville) erected at the falls of the Ohio. “While the American commander was thus negotiating with the Indians, [Col. Henry] Hamilton, the British Governor of Detroit, heard of Clark’s invasion, and was greatly incensed because the country which he had in charge should be wrested from him by a few ragged militia. He therefore hurriedly collected a force, marched by way of the Wabash, and appeared before the fort at Vincennes. The inhabitants made an effort to defend the town, and when Hamilton’s forces arrived Captain Helm and a man named Henry were the only Americans in the fort. These men had been sent by Clark. The latter charged a cannon and placed it in the open gateway, and the Captain stood by it with a lighted match and cried out, as Hamilton came in hailing distance, ‘Halt!’ The British officer, not knowing the strength of the garrison, stopped, and demanded the surrender of the fort. Helm exclaimed, ‘No man shall enter here till I know the terms.’ Hamilton responded, ‘You shall have the honors of war.’ The entire garrison consisted of one officer and one private. “On taking Kaskaskia, Clark made a prisoner of Rocheblave, commander of the place, and got possession of all his written instructions for the conduct of the war. From these papers he received important information respecting the plans of Col. Hamilton, Governor at Detroit, who was intending to make a vigorous and concerted attack upon the frontier. After arriving at Vincennes, however, he gave up his intended campaign for the winter, and trusting to his distance from danger and to the difficulty of approaching him, sent off his Indian warriors to prevent troops from coming down the Ohio, and to annoy the Americans in all ways. Thus he sat quietly down to pass the winter with only about eighty soldiers, but secure, as he thought, from molestation. But he evidently did not realize the character of the men with whom he was contending. Clark, although he could muster only one hundred and thirty men, determined to take advantage of Hamilton’s weakness and security, and attack him as the only means of saving himself; for unless he captured Hamilton, Hamilton would capture him. Accordingly, about the beginning of February, 1779, he dispatched a small galley which he had fitted out, mounted with two four-pounders and four swivels and manned with a company of soldiers, and carrying stores for his men, with orders to force her way up the Wabash, to take her station a few miles below Vincennes, and to allow no person to pass her. He himself marched with his little band, and spent sixteen days in traversing the country from Kaskaskia to Vincennes, passing with incredible fatigue through woods and marshes. He was five days in crossing the bottom lands of the Wabash; and for five miles was frequently up to the breast in water. After overcoming difficulties which had been thought insurmountable, he appeared before the place and completely surprised it. The inhabitants readily submitted, but Hamilton at first defended himself in the fort. Next day, however, he surrendered himself and his garrison prisoners-of-war. By his activity in encouraging the hostilities of the Indians and by the revolting enormities perpetrated by those savages, Hamilton had rendered himself so obnoxious that he was thrown in prison and put in irons. During his command of the British frontier posts he offered prizes to the Indians for all the scalps of the Americans they would bring him, and earned in consequence thereof the title, ‘Hair-Buyer General,’ by which he was ever afterward known. “The services of Clark proved of essential advantage to his countrymen. They disconcerted the plans of Hamilton, and not only saved the western frontier from depredations by the savages, but also greatly cooled the ardor of the Indians for carrying on a contest in which they were not likely to be the gainers. Had it not been for this small army, a union of all the tribes from Maine to Georgia against the colonies might have been effected, and the whole current of our history changed.